Sculpture is having a bit of a renaissance here on the blog, possibly in galleries and other locations around the world too. I’ve just started experimenting with some sculptural works myself. 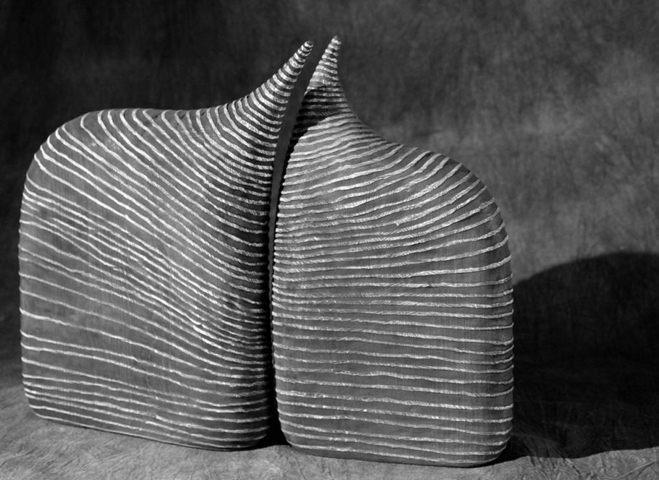 I’m hoping to produce sleek, minimal forms that have unusual surface texture, so it’s only natural to go hunting around for inspiration that might inform my next project. 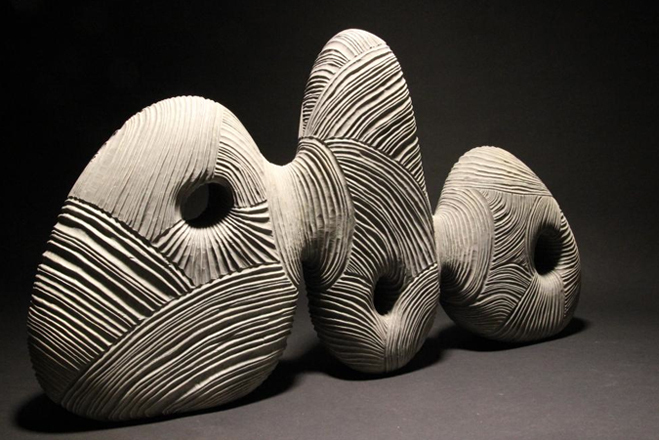 Obvious places to look for inspiration include the likes of Isamu Noguchi and Constantin Brancusi, both well known sculptors, but for me the real pleasure is finding lesser-known individuals who’re still carrying the torch today. Thierry Martenon is one of those. 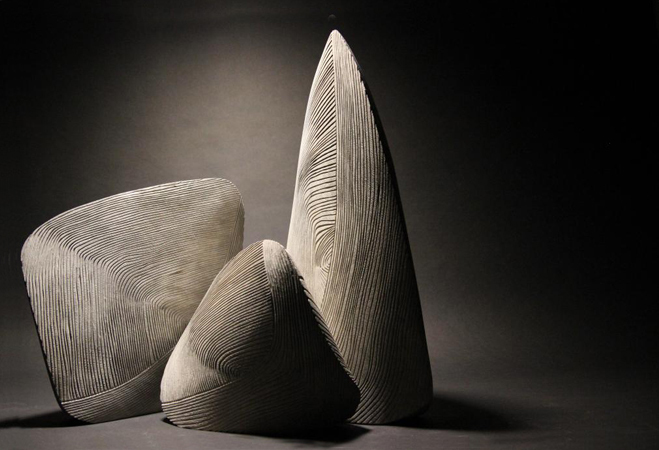 A French sculptor who creates elegant, stripped down forms with lots of unique surface markings. He says he’s always looking for new textures to experiment with and likes to discover new ways of bringing out the grain in a tree. 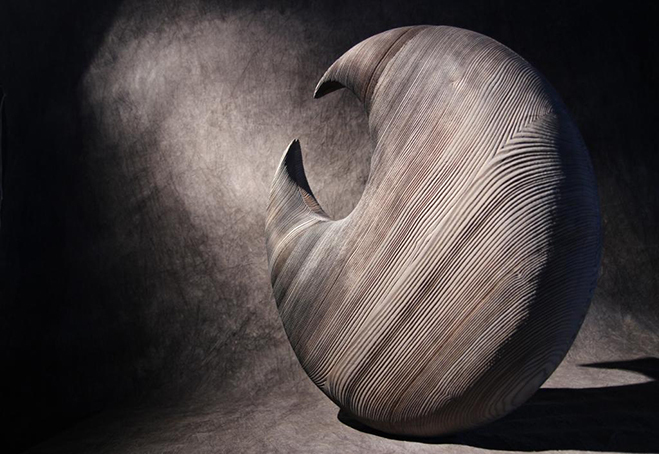 Although his works are pure and simple, very contemporary in fact, the wood itself is primitive looking and this creates a unique contrast with the fluid silhouettes. What also impresses me, and gives me hope as a creative, is the fact that he’s completely self-taught. He makes these by selecting a piece of wood that has appealing characteristics, he then cuts the basic shape and rounds the main body with power tools. Later drawing directly on the surface and proceeds to carve out the design with chisels. To bring out the carving he applies certain oils that soak in to the grain and finishes by burnishing the surface of the wood. It’s nice that all the wood he sources is from the Chartreuse Mountains, which is very local to his studio in southeastern France. I suppose this creates a very natural feeling in the works, wood that’s been untouched and has been found in higher climates. 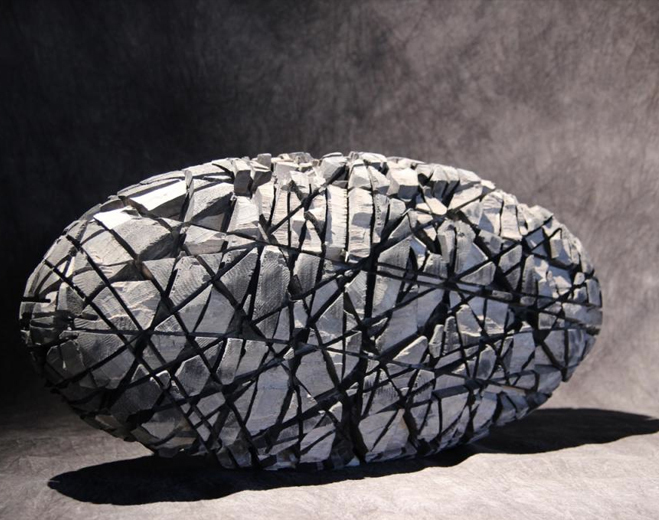 My favourite objects are the vessels that look like stone, they’re all newer works which he’s designed and created in the last few years (above and below as an example). 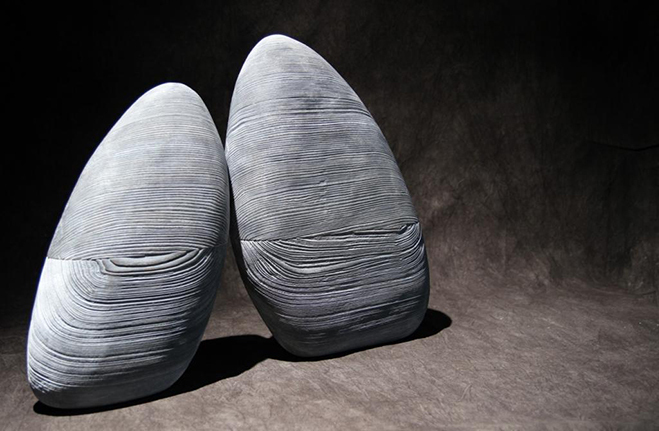 Although quite simple in their form, they remind me of rock formations in a zen garden, or little mountains that are shadowed with different textures and tones. They’re superb! To see more why not click through to his portfolio on the link below.